Lunch & CEUs* are included in cost. (*CEUs are being sought for social workers and administrators). 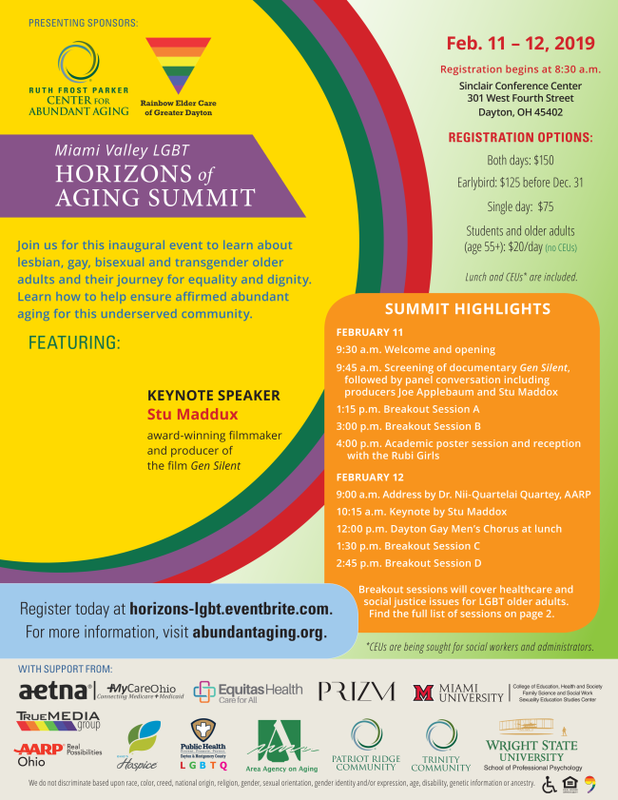 The Area Agency on Aging is a co-sponsor of this event along with Ruth Frost Parker Center for Abundant Aging, Rainbow Elder Care of Greater Dayton, and many additional organizations. Contact us to arrange a free visit and see how we can help you. Helping adults remain in their homes with independence and dignity. Greene, Logan, Miami, Montgomery, Preble and Shelby counties.